Vitreoretinal surgery refers to a group of surgeries which take place inside the eye's interior where the vitreous (gel-like material) and retina (photosensitive membrane) are located. Vitreoretinal procedures are either performed with traditional surgical tools or lasers, and address a range of ophthalmic issues including diabetic retinopathy, macular degeneration, detached retina, macular hole, CMV retinitis, epiretinal membrane, and diabetic vitreous hemorrhage. A specific type of vitreoretinal eye surgery, a vitrectomy procedure removes the vitreous, a gel-like substance located in the middle of the eye. 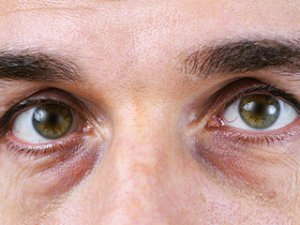 A vitrectomy is usually performed under general anesthesia, but depending on the patient's health, is sometimes performed with local anesthesia. During a vitrectomy, an eye surgeon inserts small instruments into the eye. The surgeon cuts the fibers which attach the vitreous gel to the retina, and suctions out the vitreous. The surgeon then repairs any holes or tears in the retina or macula (center of the retina), flattens any areas where the retina is detached, and removes any vitreous fibers or scar tissue still attached to the retina. At this point, the eye care provider fills the vitreous cavity with either a gas, saline solution, or a silicone oil to restore normal eye pressure. The vitrectomy procedure was developed to address several eye-related problems such as retinal detachment, macular hole, epiretinal membrane, proliferative vitreoretinopathy, endophthalmitis, and intraocular foreign body removal. Commonly, vitrectomy is used to treat diabetic vitreous hemorrhage, a condition in which the retina bleeds into the vitreous. Vitrectomy has been shown to vastly improve the visual acuity of patients suffering from vision loss, distortion, or disruption due to vitreous hemorrhage. The procedure also reduces the risk of severe bleeding in patients who have begun to experience vitreous hemorrhage and for patients with abnormal blood vessels in the iris. A vitrectomy is a complicated surgical procedure with the potential for complications like elevated intraocular pressure, retinal detachment, continued bleeding into the vitreous, corneal edema (fluid buildup in the cornea), or internal eye infection. As a result, this type of eye surgery is only used as a last resort in extreme cases of vitreous hemorrhage which do not clear up without treatment. Every patient and every eye is different, and therefore responds differently to treatment. For this reason, diagnosis from an eye care professional specializing in retinal conditions and procedures is necessary before undergoing a vitrectomy.